Avril Couris' waterfront Eichler home at Marin County's Harbor Point—one of the rare examples of Oakland's Model 15. 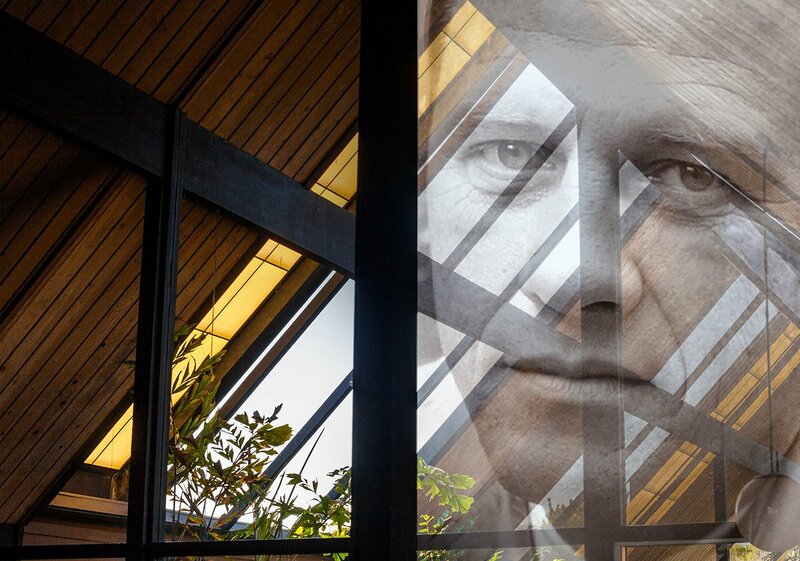 Claude Oakland was not the most colorful of Joe Eichler's architects or the most famous. Bob Anshen, with his rapid-fire ideas, his suggestion to create an atrium, his proposal that Joe begin hiring architects in the first place, qualifies as the former. And A. Quincy Jones, with his pioneering work in modern residential design in Los Angeles, and the many institutional designs with his partner Frederick Emmons, qualifies as the latter. Some think of Oakland as a Johnny-come-lately to the Eichler canon, a guy who worked many years as a draftsman for Anshen and Allen's firm, Eichler's original architectural team, finally taking over the account himself, for his own Claude Oakland & Associates, only after Joe Eichler had the last of several fallings-out with the mercurial Anshen. But that's not how Eichler saw Oakland's role in the development of the Eichler homes. In fact, as chief designer of Eichlers for Anshen and Allen, then on his own after 1960, Oakland almost certainly designed more Eichler homes than any other architect, perhaps 5,000 of the 11,000 total. 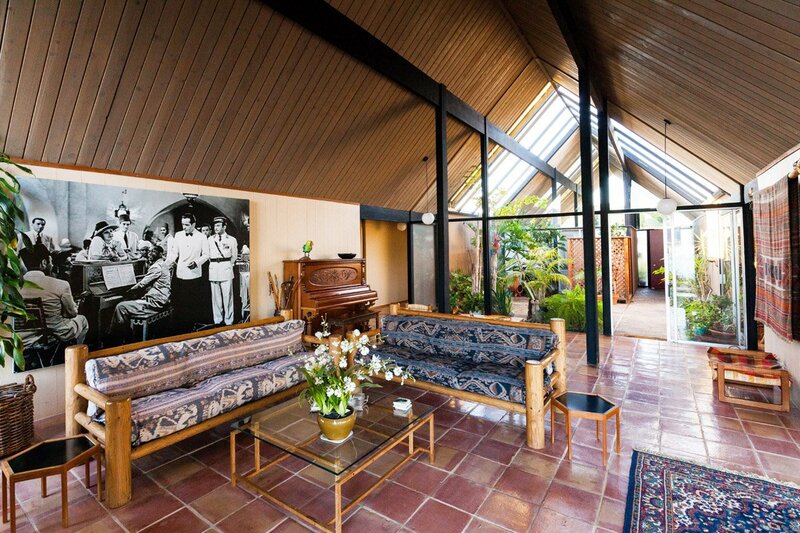 Oakland was also the only Eichler architect who devoted the bulk of his mature career to Eichler. In a 1972 brochure for his Grandmeadow development in Mountain View, billed as "53 custom-quality Eichlers," Eichler asserted that Oakland had been designing—and not just assisting with the design—of Eichlers from 1949, at the onset of the Eichler Homes company. 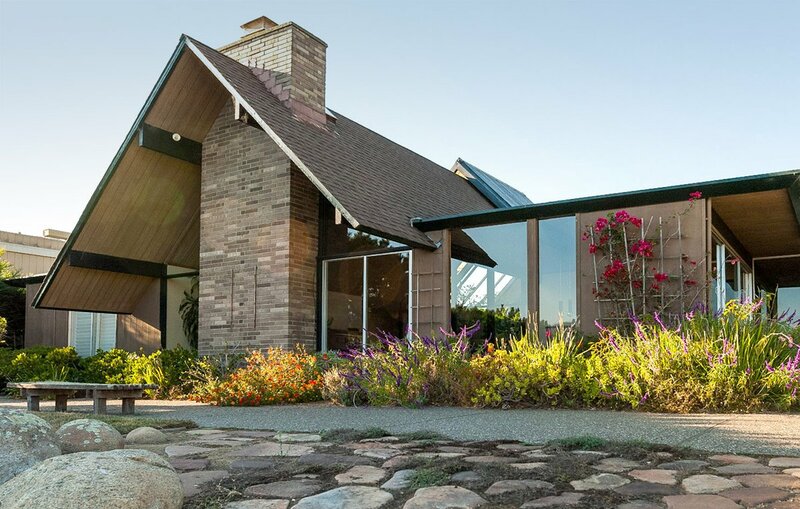 "As they have for the past 23 years, our architect Claude Oakland & Associates, AIA, have again shown their award-winning artistry in designing houses especially adapted to this area. That's one of the reasons why Eichlers are the highest rated and most wanted homes in America," the brochure stated, misstating how long the firm had been around, but not how long Oakland had been working on behalf of Eichler. Moreover, Oakland's designs remain among the most popular of all Eichler models. Avril Couris lives in one of Oakland's grandest models, and one of the rarest too, the HPO-15. 'HP' stands for Harbor Point, a tiny mid-1960s tract on the Strawberry Peninsula in Marin County that was aborted after more than a dozen mostly waterfront homes were built.